Sauerkraut on anything & everything. | Eat More Plants. So two of my favorite sandwich items come together here, and it’s perfect. 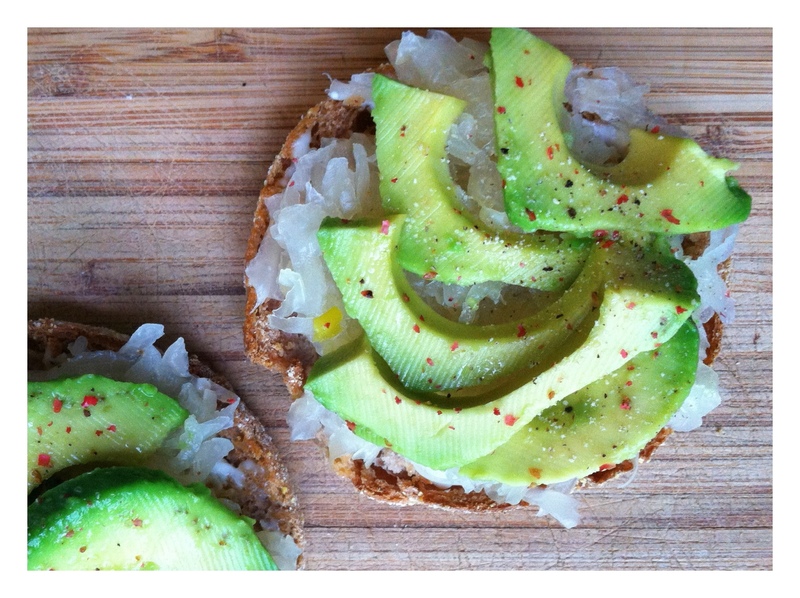 A toasted sprouted grain roll with vegenaise, avocado and sauerkraut. Mmm. Squeeze of lime, salt & pepper. I buy a raw, fermented, garlic sauerkraut…I should probably make it myself but this particular one from the co-op is so damn good, I never feel the need to. I am growing red cabbage in my garden this year, maybe I’ll try to make some with it!